My family and I had been visiting Burghley House, and decided to take a walk in the Deer Park (and give our 7 year old a chance to run about and burn off some energy). We wandered towards a Palladian bridge in the park. 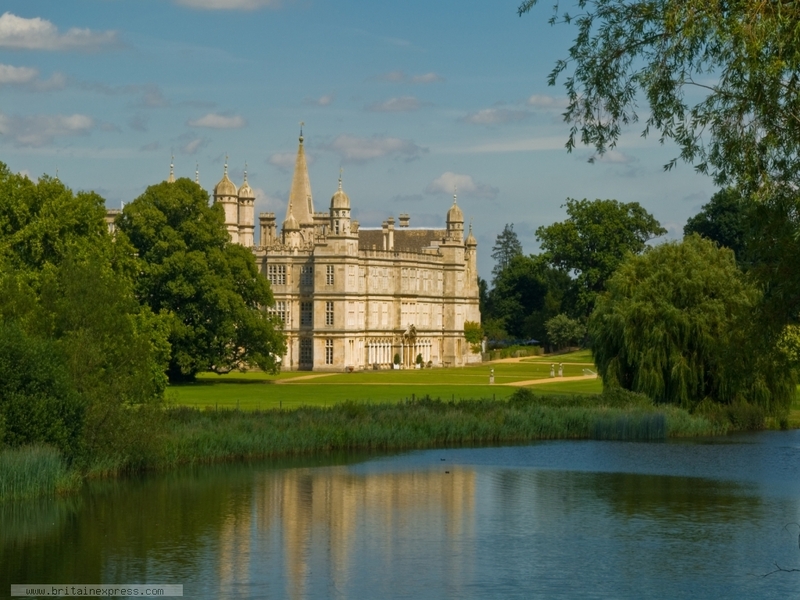 I had no idea what I'd find, but as I looked back from the middle of the bridge towards Burghley House I saw this wonderful view of the house reflected in the waters of the lake. I braced my camera on the bridge railing and got this photo while the sun lit the house.